Check out these shocking electricity facts that cover circuits, solar power generation, electric eels, wind power, positive and negative charges, currents, volts and everything in between. Electricity can be made from water, wind, light, and even animal manure. In 15 minutes, the sun radiates as much energy onto our globe as humans use during an entire year. Just imagine if we could channel the sun’s energy effectively! 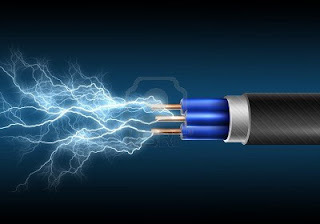 About 200 years ago, Alessandro Volta discovered that when two strips of different metals were put in a sulfuric acid solution and connected with a wire, electricity began to flow. Voila! The first electric battery was developed! Electrocution is one of the top five causes of workplace deaths. The first use of water to generate electricity was in 1882 on the Fox river, in the USA, which produced enough power to light two paper mills and a house. First Lighthouse to use electricity – Statue of Liberty (1886) and the Brooklyn Bridge was the first bridge to use electricity. Electric eels can produce strong electric shocks of around 500 volts for both self defense and hunting. Electric circuits can contain parts such as switches, transformers, resistors and transformers. A common way to produce electricity is by hydropower, a process that generates electricity by using water to spin turbines attached to generators. Lightning is a discharge of electricity in the atmosphere. Lightning bolts can travel at around 210,000 kph (130,000 mph), while reaching nearly 30,000 °C (54,000 °F) in temperature.